A double (flower not agent...as you might assume coming from Moscow) ....eer where were we....so a double white flower with pale lavender buds which last longer than many other Syringa. Considered to be a heavy bloomer which may sound like an overweight teenager but in horticultural terms this means it has lots of flowers. 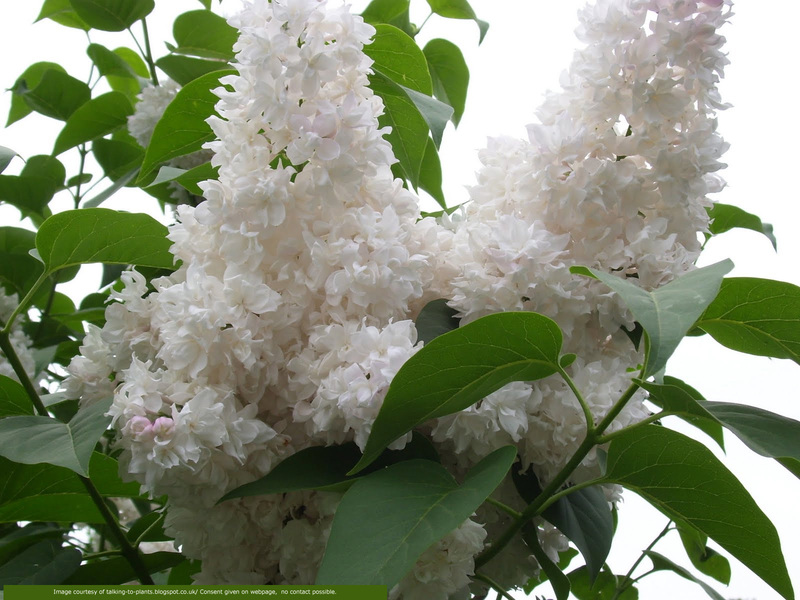 Compared to other Syringa, Beauty Of Moscow has very large flowers (could be over 30cm long) with a heavy scent. Apparently you can cut them and one will scent the whole house but that observation may have been written by a blood hound, we will only commit to them being allegedly highly fragrant. The blooms of Beauty Of Moscow may take a couple of years to fully show based on local conditions, not because they are shy and need to get to know you better. The flowers should make an appearance around May unless the effects of global warming increase in which case they might make a timely Christmas show. 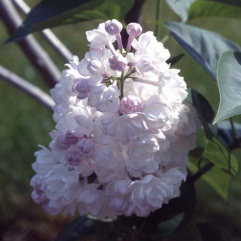 A pleasing scent, unless you hate the smell of Lilac, which intensifies as the flower ages. Obviously when it has aged to "dead" then it doesn't smell as intense or the same. Our Beauty Of Moscow lilac tree/shrub is considered a small tree/shrub so expect around 4m at 10 years. It could go on to grow a little more depending on your location and weather conditions. If it doesn't grow more then try taking your shoes off, it makes it look a bit bigger. Considered to be chalk tolerant which does not mean it is happy to sit on the tube train next to a packet of blackboard writing sticks and strike up a conversation. 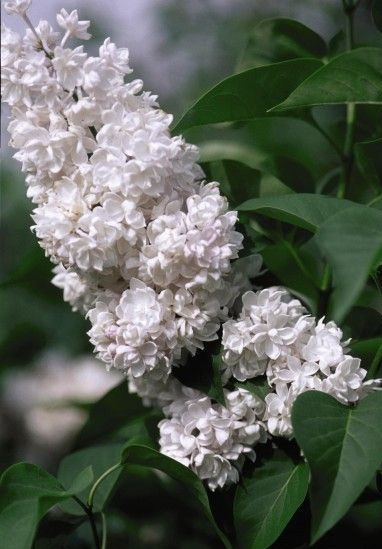 It means if your soil is a bit chalky then you can still plant Syringa Beauty Of Moscow. For best results, go to University and study horticulture at PHD level. Failing that, plant the best way you know how in a full sun position, feed if you have poor quality soil and don't let it dry out in mid-summer. Mixing the excavated soil to 50:50 with well rotted compost or manure will help with poor quality soils. If you do not know what poor quality soil is, invite a soil expert over for a picnic and see where he sits down. If he eats standing up then we suggest selling your house quickly. Prune out any dead, diseased or crossing over branches as general maintenance but you can further lightly prune to encourage new growth with out it getting grumpy and sending a complaint about you to the local authorities. Supplied in a 7-12 litre pot between 50-120cmand will be between 2 and 3 years old.